Technology gives way to a different level of stimulating children's awareness to new and exciting electronic games. Certainly, Internet provides them with useful tools to learn valuable educational skills in just one click of a mouse. But then, such quick access on collective knowledge made available in the Internet, somehow creates anxiety amongst children who always want something different ... something new. They expect more. 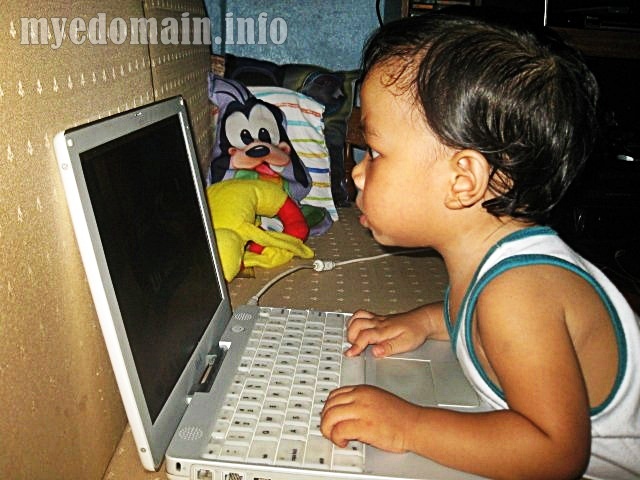 Children spent hours in front of the computer. Just sitting, typing and eating while playing. It becomes so unhealthy for them. Keeping them busy with the latest game online is such a waste of time. They are not motivated to exert energy... to move and use their motor skills. And if they stop by turning off and switching off their gadgets, they feel bored to death. Overcoming their boredom may be hard for us for we adults have the same tendencies but we can do something. We can encourage our children to divert their attention into more entertaining and interesting activities like bringing them to parks or educational sites once in a while... or may be simply biking outside... inviting them for outdoor games like badminton or basketball... We may also introduce the games we used to play. Playing is in every child's life. It is an essential stage of growing up. It's the basic skill any child should know for the development of ones well-being. Having fun seems endless to young children because they don't think about time. They are curious about anything and practically everything. Kids learn to play and play to learn. They learn simple things during the early years because it's the time when they first interact with others... make friends... discover their abilities and defend themselves when they get hurt. It's the best time to express their feelings and emotions. Too much of everything is bad. We have to guide our children in their quest for life. We have to know their strengths and weaknesses and learn how to provide them their needs without sacrificing the true essence of giving them "playing time". I'm just worried for the eyes of kids nowadays. Won't they get early eye problems and tend to have higher grades when they grow up when they are too babad with technical gadgets? That's why we only let our kids play on the computer on weekends. And still, their time is limited. We want them to play with each other instead. I guess, it really depends on the parents to discipline their kids to at least have some physical activities scheduled instead of just plain computer games. I still think kids should spend more times out doors playing outdoor games instead of technology stuff. They'll learn a lot more that way. Technology has its bad and good sides. Parents should encourage their kids to do more activities outside to help them gain more friends and improve their interaction skills. There are always been a bad and good if we just let our children be drown in new age. Sometime we need to let them discover what really is the world outside home. . .
You are totally right. Almost all of the children here in SG are wearing glasses. The easiest way to ease a child's boredom is through these gadgets, ayan tuloy, halos lahat sila four-eyed na. You are totally right. Most of the children here in SG are wearing glasses at an early age of 3 yo. Malakas ang impluwensya ng mga gadgets sa mga bata. Parents tend to ignore,kaya ayan tuloy, malalabo na ang mga mata ng mga bata. Outdoor games for kids are fun,cheap and priceless. The competition of gadgets for kids are increasing, same with children with early eye problems. Sigh... today's generation is very distant from what the rest of us enjoyed as kids back then. I mean, to have techie kids is great. But there should always be a balance to everything. They should be able to play outside without their gadgets in tow. I allowed my little boy to use the computer for a certain few minutes max of 30 minutes. I prefer more that he plays outside with the other kids. I still believe it will enable him to learn more by socializing other than it will benefit him physically. It will always depend on us parents, how we will instill rules to our kids. Gone are those days of turumpo, taguan and tumbang preso. Kids of today are more engrossed playing computer games. But , it is not all that bad, basta ba educational games ang laruin nila. Hindi tulad nung bata pa ako na ang nilalaro ay bahay-bahayan, patentero, chinese garter, etc. mga Pinoy games! Na influence na talaga ng panahon ang mga kabataan ngayon. For as long as we guide them to what should be and would-be-too-much, learning through new technology is still the best way for them to enjoy knowing new things and activities. Enter a restaurant, look for a family and you'll see kids will either have an ipad, iphone or an itouch in his hand. A way to keep them quiet. Not sure if this is bad or good. You are right, never let them play too much computer, children will be weaker in strenght, if they dont exercise, playing is one way of exercise, playing outside the house, but not too much, because of the dangers lurking.